Tennessee Community Pushes To Reopen 'Civil Rights Hero' Cold Case Beyond preserving his legacy, city leaders are calling to investigate the 1940 death of Elbert Williams, who is believed to be the first NAACP official killed for seeking voting rights for blacks. 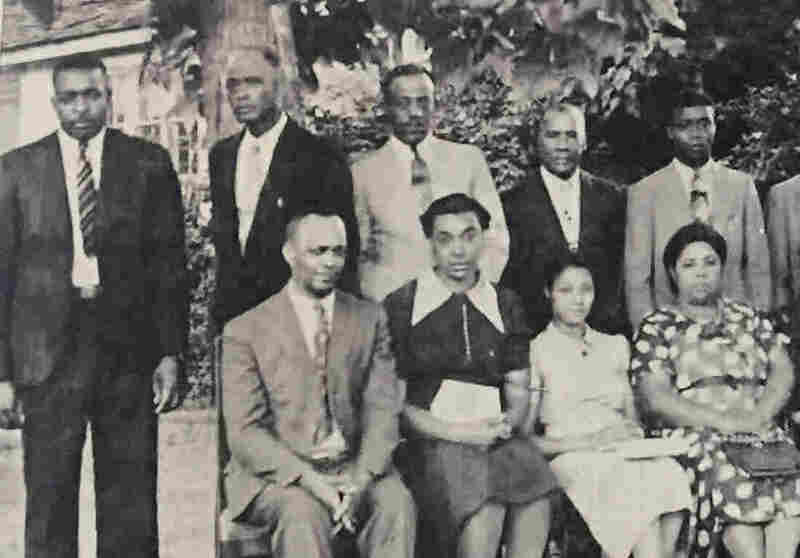 Elbert Williams (far left), pictured with other members of a Haywood County NAACP chapter. Following Wiilliams' death, the chapter became inactive for two decades. 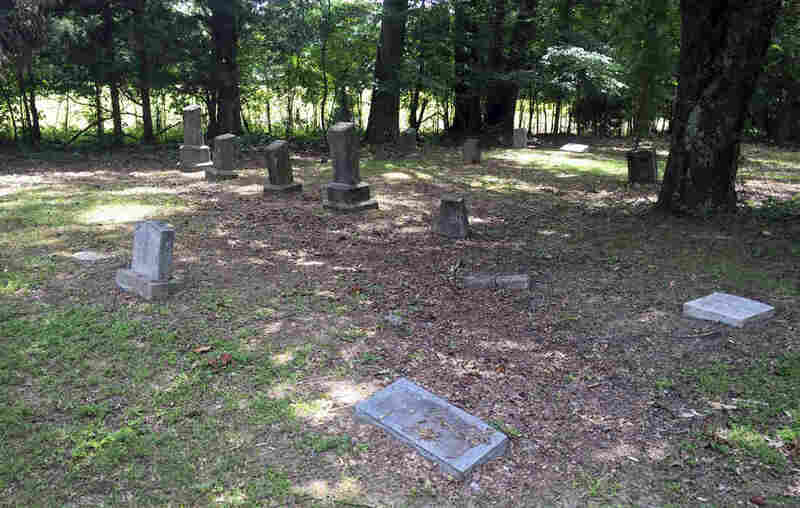 This African-American cemetery dates to the late 1800s. Some graves have traditional headstones; others, simple concrete slabs. Many are unmarked. In the summer of 1940, Emison says, Williams' grave was marked with a churn, now gone, in a rushed burial. "There was no funeral; there was no graveside family service," he says. "They just dug a hole and put him in the ground on the coroner's orders. And Elbert and all the evidence that his body contained was buried in that unmarked grave." There was no postmortem and no arrest. Williams is believed to be buried in the Taylor Cemetery in Brownsville, Tenn.
Emison, who is writing a book about Williams called First to Die, is white, grew up in Brownsville and comes from a long line of judges and lawyers. Yet he'd never heard the story of Elbert Williams until a few years ago, and now he wants everyone to know. "Elbert Williams is a civil rights hero of the caliber of Medgar Evers," he says. Evers, the NAACP field secretary in Mississippi, was assassinated in 1963. But more than 20 years earlier, Williams was part of a group of black professionals and business owners who formed a chapter of the NAACP in Haywood County, Tenn. Their goal was to register black voters. Emison says they were pioneers in trying to break a system rooted in plantation life. "The atmosphere in Haywood County in 1940 was one of total white supremacy, total African-American political powerlessness and economic depravity. The white folks had 'em right where they wanted them and intended to keep 'em there." The new NAACP officers and their families were targeted with violence. Their homes were burned, and the president and secretary fled to save their lives. So Williams, a 31-year-old laundromat attendant, said he would host a chapter meeting in his home. Before he could, he was taken from his home by police — never to return. "His wife, Annie, was frantic," Emison says. "She was searching for him for over 48 hours. And on Sunday morning the undertaker sent word, 'Come to the river, they've found the body.' And it was Elbert, her husband." The muddy brown waters of the Hatchie River flow beneath a busy bridge a few minutes' drive from Brownsville. John Ashworth, chairman of the Elbert Williams Memorial Committee, picks up the story at the river. 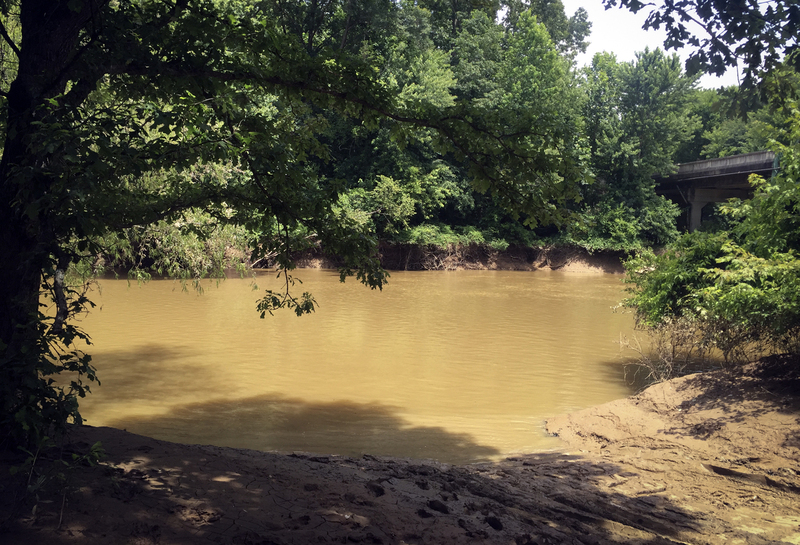 "Just about 200 yards downstream from here, is where Elbert Williams' remains were taken out of the river," Ashworth says. "He's weighed down. There's a log tied to him." His wife asked to see the body. "And when she looked at him she identified, yes, that's him and she identified what appeared to be two bullet holes in his chest," he says. A coroner's inquest was held on the spot. Williams' death certificate says "cause of death unknown." But Ashworth says the way he died was intended as a warning to other black residents who might want to organize and vote. "Just the horror of being thrown in a river out here in this remote location and then having the remains disfigured like that," he says. "All of that sends a message that if you get out of place this is what happens." Felecia Walker, president of Haywood County-Brownsville NAACP branch; attorney Jim Emison and John Ashworth, chairman of the Elbert Williams Memorial Committee, want the Justice Department to reopen investigation of Williams' 1940 death. It worked. 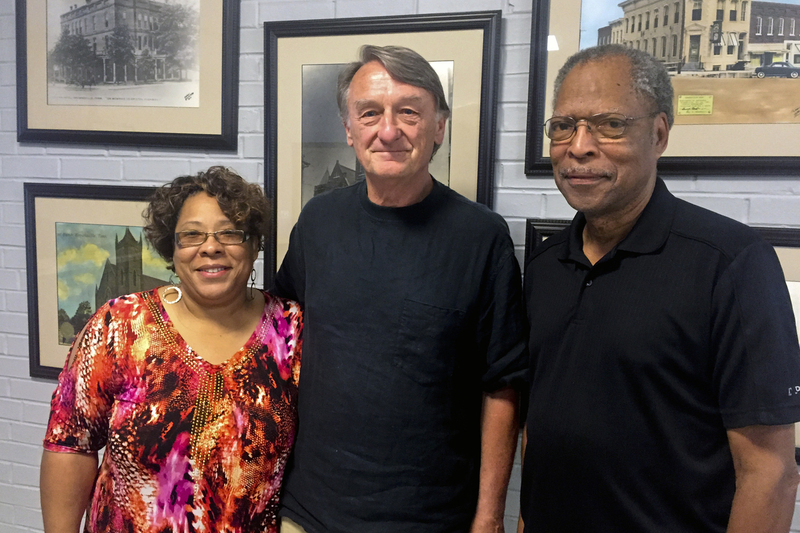 The Haywood County NAACP chapter would not be active for 20 more years. Today, Felecia Walker, president of the local NAACP branch, has questions 75 years after Williams died. "I know he was in the river," she says. "But what really happened?" Walker has joined the Elbert Williams Memorial Committee and city and state officials to install a new historical marker in Brownsville in memory of Williams. That helps preserve his story, they say, but they are also calling for the federal government to investigate. "It need to be known what happened to this man," Walker says. "Was he dead before he hit the river? And was those two holes in his chest — was it bullet holes?" The FBI did investigate in the 1940s but did little more than interview witnesses, allegedly accompanied by local law enforcement who were suspect. The NAACP sent Thurgood Marshall to Brownsville on a fact-finding mission to push for a federal prosecution, but to no avail. Attorney Emison says now the Justice Department can set the historical record straight. "We need to show that there is a commitment to justice no matter how long it takes," Emison says. "We ought not abandon it now because we abandoned the search for it in 1942." In 1940, Williams' body was found in the Hatchie River, a few minutes' drive from Brownsville, Tenn. In Memphis, U.S. Attorney Edward Stanton says his office is considering whether there's enough information to warrant reopening the case. "Certainly we're acknowledging that this is something that's important to this community and quite frankly a fabric and part of this nation's history and the civil rights movement," he says. Civil rights-era murders from the '60s have been successfully prosecuted in recent decades. But with a case this old, Stanton says the passage of time is an issue. "It is extremely challenging when 75 years have passed, as you can imagine," he says. "Most if not all of the individuals who could have been involved, including witnesses, potential descendants and suspects, are now deceased." One of those potential witnesses would be Leslie McGraw's 84-year-old grandmother, who was a child at the time. Elbert Williams was her uncle. McGraw says her grandmother used to tell her stories about seeing Williams' body pulled from the river, and talk of reopening the case is hard. "It brings memories of that time in the South that was just really traumatic for her," she says. "She talked about how, you know, the terror campaign, very regular to her, that there were lynchings." McGraw says after Williams was murdered, the family splintered. Her side left homes and businesses behind in Tennessee and moved to Michigan, struggling to start over. She says most of them never spoke of the murder again. "Our family was robbed of a hero," she says. That's why, despite the pain it is causing her grandmother, she'd like a full investigation today. "The way that they killed him, they also killed his legacy," McGraw says. Now, she says, there's an opportunity to restore the legacy of Elbert Williams.